Even as home prices continue their record-setting declines, signs of hope are emerging in the residential construction market. Housing starts in the U.S. unexpectedly rose in February, ending the longest series of declines in 18 years. The annual rate of 583,000 homes was a 22% rise from January, and was likely influenced by warmer weather and an 82% surge in multifamily construction. Analysts say that a sustained turnaround is still months away, and may not begin until 2010, due to the glut of unsold properties on the market. But these numbers indicate that the worst may be behind us. “You get the sense from a lot of the data coming out now that we’re beginning to get to a bottom,” says Nariman Behravesh, chief economist at IHS Global Insight in Lexington, Mass. President Barack Obama, knowing that foreclosures are a major obstacle to getting residential construction moving again, has pledged a $275-billion rescue to help keep 9 million borrowers in their homes. His efforts also include a tax break of $8,000 for first-time homebuyers. The oversupply of homes is forcing prices down. Prices in the 20 metropolitan areas tracked by Standard & Poor’s continue to fall at record rates. As of November, average home prices are at similar levels to what they were in the first quarter of 2004. From their peak in mid-2006, the 20-city composite index is down 25%. Moody’s Economy.com said home prices will slide another 11% before stabilizing. 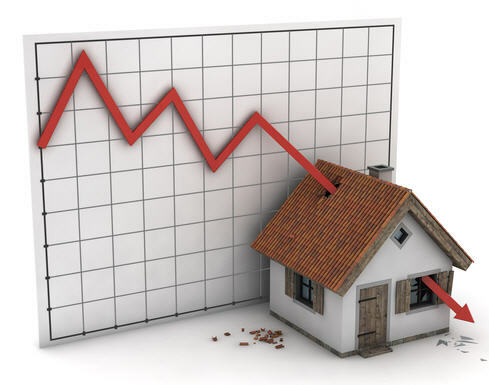 “The bottom of the housing downturn is within sight for the nation,” said Mark Zandi, chief economist of Economy.com. Attendance at both the World of Concrete and the International Builders’ Show this year were down significantly, a somewhat expected result of the current weak economy. The National Association of Home Builders (NAHB), which sponsors the IBS show, reported 60,000 attendees. That’s down signi-ficantly from the 90,000 that came to the 2008 show in Orlando. World of Concrete, which was held two weeks later on the same show floor, showed a similar drop in attendance: about 65,000 instead of the nearly 85,000 that came for last year’s show. That’s a drop of 23%. Interestingly, at WOC the number of exhibitors and square footage of exhibits was down a mere 3%. Many exhibitors said they had been prepared for a slower show, and others noted that just being there was important—especially when business is down. Most of the major waterproofing manufacturers stayed away from IBS, choosing to maximize their exposure at WOC. As in years past, most waterproofing booths were in the south hall, where business remained brisk. The NAWSRC held their annual meeting in conjunction with WOC at an off-site location. Sika AG, a global supplier of specialty chemicals has acquired Iotech Group Ltd., a waterproofing coatings manufacturer. The transaction closed on January 26, 2009 for an undisclosed amount. Sika’s construction business activities already include roofing, joint sealing, concrete repair, and protection. With the acquisition, Sika substantially expands market position in polyurethane liquid membranes for roofing and food-grade wall coatings. Because of these strong synergies, Sika will integrate Liquid Plastics into its Construction Products Division in hopes of strengthening its market position and promote the Liquid Plastics product line throughout North America. Approximately 250 employees are expected to join Sika. The company plans to continue operating the state-of-the-art production facility in Middletown, Conn. The U.S. Patent and Trademark Office (USPTO) has ruled that enclosed crawlspaces are not a technology that can be patented. Confusion on the issue arose last year when the USPTO issued a patent for crawlspace encapsulation. Most contractors that install enclosed crawlspaces continued with their business, unaware that a patent had even been issued. But several petitioned the USPTO to reexamine the approval. The result was that in November of 2008, the USPTO cancelled the patent. “When an issued patent is reexamined and cancelled in full, it is as if the patent was never issued,” says Hunter Yancey, a patent attorney with Tautman & Sanders in Atlanta, Ga. Contractors can continue to enclose crawlspaces without fear of infringing on anyone’s patent. Beachwood, Ohio-based Tremco Inc. received national recognition for the green roof they installed on the Clinton Presidential Library. They were recognized by the Washington, D.C.-based Center for Environmental Innovation in Roofing at the International Roofing Expo held in Las Vegas Feb. 3-5, 2009. Tremco was honored with the “Excellence in Design for Best Vegetated Roof” award. Formally named The William J. Clinton Presidential Library, the building has been certified LEED Platinum by the U.S. Green Building Council (USGBC). In addition to the living roof, the building incorporates recycled materials and other environmentally friendly components, solar lighting, and a subsurface capillary drainage system to save water. The roof’s membrane, insulation and pavers were also recycled, reducing landfill waste. Installing a new membrane and flashings over the existing membrane provided an impermeable waterproofing system while preserving much of the original roofing system. “The environmental and economic benefit of forward-thinking roof design can be quite significant, as demonstrated by Tremco’s Clinton Presidential Library,” said Craig Silvertooth, who presented the award. The Sealant, Waterproofing & Restoration Institute (SWRI) has selected a new board of directors. The choices were made at the recent 2009 Winter Technical Meeting, held in St. Thomas, U.S. Virgin Islands. The board will serve for two years. Frank Halsey, of Mid-Continental Restoration Company, Inc. in Fort Scott, Kan. was elected president. Halsey intends to focus his presidency on increasing brand awareness, marketing of SWRI’s validation programs and increasing membership. Jed Daniel, of Seager Waterproofing, Inc. in Greensboro, NC, was voted president-elect. Dan Cain, of The George D. Alan Company in Irving, Texas was elected secretary/treasurer. The final member of the executive committee is outgoing president Eric Johnson of Allied Waterproofing, Inc., Milwaukee, Wis.
Other new members of the board include Steven Bentz, Robert Forrer, David Gladney, Dave Kimball, and Mackey Welch. They join half a dozen others who were already serving on the board. A full list of the 2009-2010 SWRI board of directors, with contact information, is available at www.swrionline.org. The National Association of Waterproofers and Structural Repair Contractors (NAWSRC) has scheduled its first regional meeting of 2009. It will be held in Chicago Ill. on May 22 and 23. The two-day event will consist primarily of educational seminars, and is intended to help real estate agents and service professionals understand the importance of waterproofing, and options for foundation structural repair. 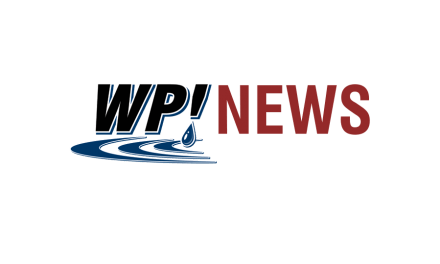 “Our hope is that they will not only benefit from the informative seminars, but also the networking and possible leads,” says Steve Andras, chairman of the regional meeting and owner of Pioneer Basement Waterproofing. For more information or to register, visit www.nawsrc.org, or contact Claudia Clemons at 800-245-6292. American Hydrotech is offering a free online course on green roofs for the architectural community. Titled Green Roofs: A Sustainable Strategy, it allows architects to earn one AIA/CES learning unit, including one hour of health, safety and welfare credit. At least three other organizations, CSI, ASLA, and RCI have also certified this course. More information on the class is available at www.hydrotechusa.com.